Asked whether Islam belongs in Germany, some three quarters (74 percent) of Germans polled answered “absolutely not” or “probably not,” in direct opposition to German Chancellor Angela Merkel. Only 6.4 percent responded that Islam “definitely” belongs in Germany and another 14.9 percent answered, “probably yes.” Of those polled, 4.4 percent abstained. Chancellor Merkel ignited a debate on the subject in August, 2016, when she emphatically declared that “Islam belongs to Germany,” in the midst of Europe’s migrant crisis. She doubled down on that position on Friday, insisting that Islam is an integral part of German culture, in contradiction to Interior Minister Horst Seehofer, the Bavarian leader of the Christian Social Union (CSU), who has stressed the nation’s Christian heritage. Merkel’s remarks followed on comments by Horst Seehofer, a critic of Germany’s unchecked migration. “Islam does not belong to Germany,” Seehofer told Bild on Friday, pointing to the Christian church’s influence on everyday life and culture. “Germany has been shaped by Christianity,” he said. Obviously, from a historical perspective, Seehofer’s position is unassailable, since Europe was literally defined geographically by its Christian identity in opposition to Islam. As Robert D. Kaplan explained in his ground-breaking 2016 Atlantic article “How Islam Created Europe,” Europe—unlike other continents—was ultimately defined by its Christian identity, in opposition to Islam. While other continents were defined by rivers, seas, oceans, and mountains, Europe’s identity was essentially religious, determined by the borders of Christendom. In this historical sense, Islam does not merely “not belong” to Germany, it literally was set in opposition to Germany, and to Christian Europe more generally. 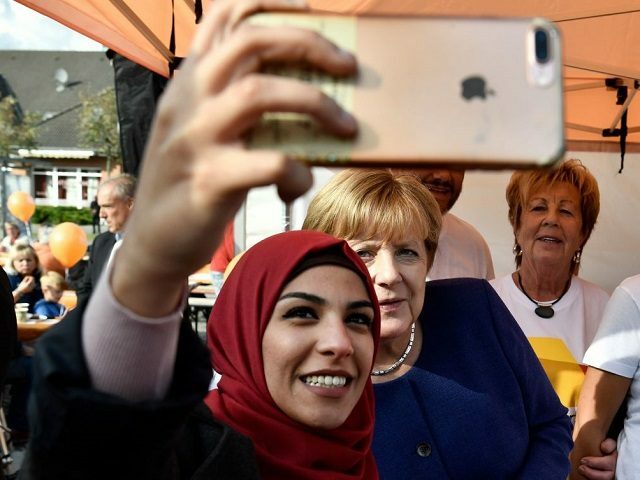 In the poll conducted by the Civey institute, age and party differences emerge in citizens’ perspective on Islam and its relationship with the German nation. 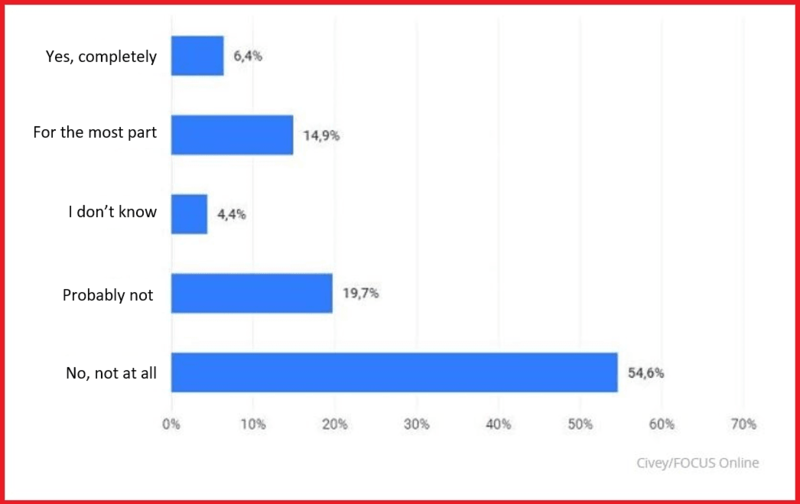 While only 19.2 percent of the Green voters, for instance, reject the statement that Islam belongs to Germany, a full 93 percent of supporters of the Alternative für Deutschland (AfD) party deny that Islam belongs to Germany. As FOCUS points out, however, the question “Does Islam belong to Germany?” is imprecise and leaves considerable room for personal interpretation. While some may take the question to be asking whether Islam is an essential part of Germany’s historical identity, others may interpret it to be asking whether Muslims are welcome in today’s Germany.